Where to Buy the Best Discount Flower Bulbs? When trying to find where to buy the best discount flower bulbs you have basically two options to head down & explore -- the online route (searching through websites to find potential bargains & have them delivered to your door) and the offline route (where you search, contact local gardening centres and suppliers, to try to negotiate a good deal) -- and it is these two options are what this guide will be discussing: finding & buying top quality flower bulbs -- but are available at reduced price. 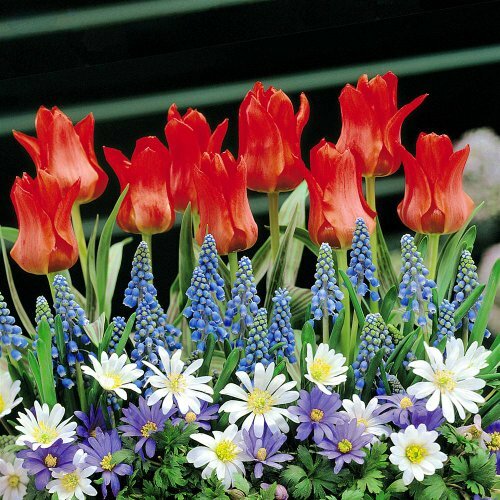 Amazon - you will find a whole host of decent flower bulbs from the giant online retail store; that usually come in significant batches ranging from just 10 bulbs to 100 bulbs (or more), most of which are supplied through 3rd party sellers. However, because all transactions are made through Amazon themselves, there is an automatic element of trust -- as you will know Amazon will either just refund you or have another set of bulbs sent to you to replace them if anything were to go wrong. Just make sure you get the 'deliveries' infomration as well as how reputable they are & get hold of precise 'planting' instructions & details (e.g. 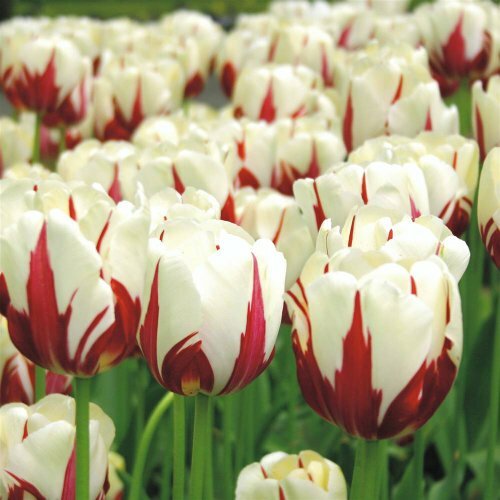 expected flower size, bulb size, garden type etc.) which the company should offer with the bulbs. Hirt's Gardens (www.hirts.com) - a very reputable garden site established in 1915, that offers you a wide range of flower bulbs. 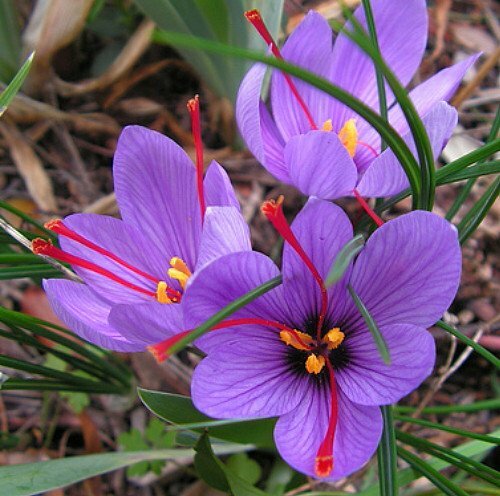 What is particularly good about this site though, is the significant discounts that they offer you when you buy in bulk - for instance (at the time of writing this) if you were interested in some top of the range Saffron Crocus -- and so for 10 bulbs (it would usually cost you $10) they charge $6.99, (70 cent a bulb) however if you wanted 500, they provide you with a pretty good discount (due to buying in bulk obviously) at $295.00 (59 cent a bulb). A great place to go, if you are after a large supply. BulbsDirect (www.bulbsdirect.com) - this is a very reputable seller that actually goes through Amazon & offers decent discounts too - but you can also head to see their site where you will find a greater range of bulbs (and potential deals that they have on offer). The great aspect of this site is just the sheer amount of actual flower bulbs they have on offer. Moreover, if you were after buying in bulk I would give them a prompt with the 'contact us' tab and see if they are open to a bit of negotiation over price. I also really like their "quik delivery by air" (shipping them in from flower bulb central, holland, hence having to pass dutch quality inspections and then again with USDA plant health inspectors) as well as a money back guarantee offer (similar to Amazon, where they will either refund you or replace them, if you aren't happy). There will be a number of other similar sites to BulbsDirect & Hirt's Garden (but these are just the ones that I (personally) have had a good experience with, if you find someone yourself please share them in the comments section below. You also have a number of options offline too (i.e the real world) - do a quick google search for local garden suppliers and centres that are bound to stock the bulbs you are after and if you contact them via phone, email or better yet go in person (so you can check the bulb quality themselves) -- if you were to buy all your flower bulbs from the same place -- you are bound to be open to negotiation (particularly if you ask for the store manager) and see if you can get a decent discount on the flower bulbs. Moreover, you will also be able to ask for specific instructions with regards to how to plant them & they should be more than willing to answer any questions you may have. 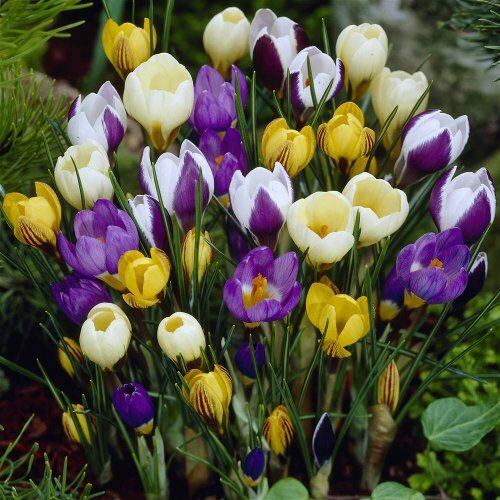 Furthermore, if you have any questions, comments, concerns or any other places to add as to where to buy the best discount flower bulbs then please do not hesitate to make them in the comments section just below and we will be sure to respond to you as soon as possible.